By Jim O'Neil and Jack Conroy. Arranged by Ned Straight. He was put there by a political party. He joked And sang And made us laugh so hearty. And a Venus is the charming Widow Clancy. And McGuffin done an Irish jig so neatly. 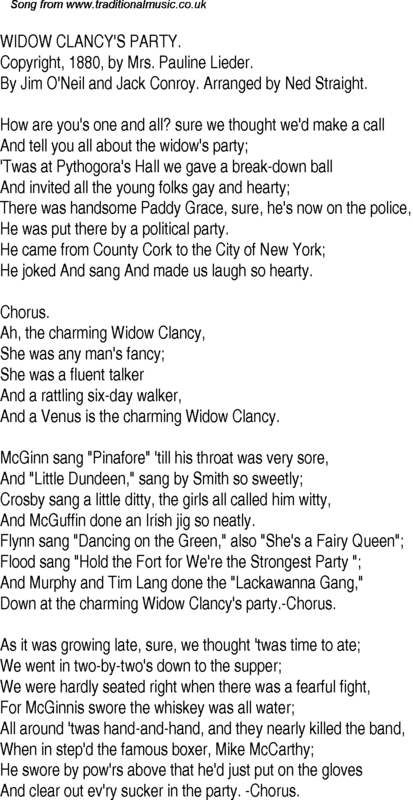 And Murphy and Tim Lang done the "Lackawanna Gang,"
Down at the charming Widow Clancy's party.-Chorus. And clear out ev'ry sucker in the party. -Chorus.